Seminar Title: Designing Networks-on-Chip: Why, What, and How? Radu Marculescu received his Ph.D. in Electrical Engineering from the University of Southern California, in 1998. He is currently a Professor in the Department of Electrical & Computer Engineering at Carnegie Mellon University. Prior to Carnegie Mellon University he was a faculty member at University of Minnesota, Minneapolis. Dr. Marculescu is a recipient of the National Science Foundation's CAREER Award (2000) in the area of design automation of electronic systems. He has received the 2005 Transactions on Very Large Scale Integration Systems (T-VLSI) Best Paper Award from the IEEE Circuits and Systems (CAS) Society, two Best Paper Awards from the Design Automation & Test in Europe (DATE) Conference in 2001 and 2003, and a Best paper Award from Asia & South Pacific Design Automation Conference (ASP-DAC) in 2003. He was also awarded the Carnegie Institute of Technology's Ladd Research Award in 2002. 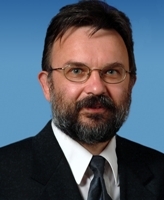 Dr. Marculescu serves as an Associate Editor of the ACM Transactions on Design Automation of Embedded Systms (ACM TODAES), ACM Transactions on Embedded Computing Systems (ACM TECS), and IEEE Transactions on Computers (T-COMP). In the past, Dr. Marculescu was an Associate Editor (2003-2006) of IEEE Transactions on Very Large Scale Integration Systems (T-VLSI). Dr. Marculescu has been involved in organizing several international symposia, conferences, and workshops sponsored by professional organizations, as well as guest editor of Special Issues in archival journals and magazines such as IEEE Transactions on Computers, the IEEE Micro Magazine, and the IEEE Design & Test Magazine. Dr. Marculescu has served on the technical program committee of several EDA conferences, including DAC, ICCAD, and DATE. He was the co-Founding General Chair of the IEEE Workshop on Embedded Systems for Real-Time Multimedia (ESTIMedia). His current research focuses on developing design methodologies and software tools for System-on-Chip design, on-chip communication, and ambient intelligence. He is a Senior Member of IEEE and a Member of ACM. Hitoshi Oi is currently an Assistant Professor at the Department of Computer Science and Engineering, University of Aizu, Japan. 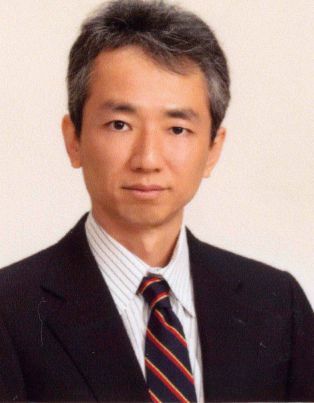 He graduated the Meiji University (ME, BE) and received his Ph.D. in Computer Science and Engineering from the University of South Florida. He is a member of the Computer Architecture and Operating System Group (CAOS). ©2014 ACSA - Advanced Computing Systems and Architectures. All rights reserved.